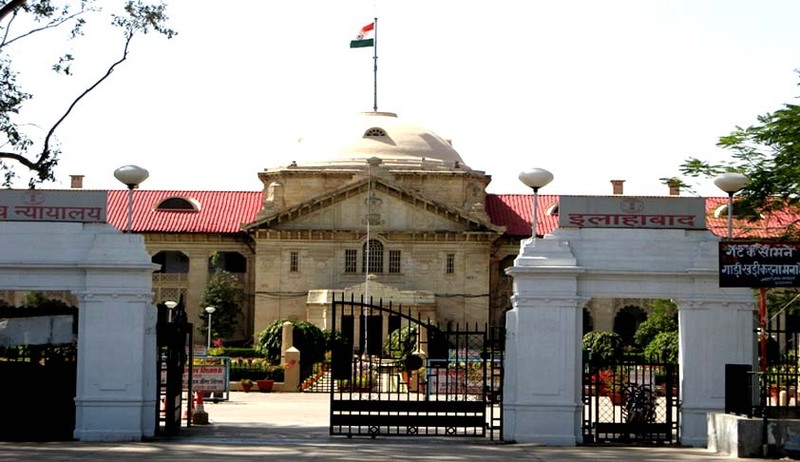 A Division bench of the Allahabad High Court, comprising Justice Sudhir Agarwal and Justice Dinesh Gupta has held 11 advocates guilty of criminal contempt and sentenced them to 3 months in jail. The lawyers have been held guilty of unruly behavior inside the Court of Additional Chief Judicial Magistrate (ACJM) in Sonbhadra in 2013. The Court has also levied a fine of Rs 2,000, failure to pay which would attract another two months imprisonment. These lawyers would not be allowed to enter the Court premises for a period of 6 months, beginning from July 10. After this period ends, their behavior would be kept under watch for two years and any unwarranted act on their part would be referred to the HC by the District Judge suo motu. The Court was hearing a criminal contempt application against advocates Mahendra Prasad Shukla, then Secretary (DBA, Sonbhadra) and others. Reference vide letter dated 15.4.2013 was made by Shri Amit Kumar Prajapati, Additional Chief Judicial Magistrate, Sonbhadra, stating that on April 12, 2013 after lunch hours, when he was discharging judicial function in Court, some other lawyers were present in connection with their applications. Suddenly, Shukla, and other lawyers including Om Prakash Rai and Om Prakash Pathak, along with 15-20 other advocates reached the court room and queried as to how the court was functioning, when a strike call had been given by the advocates on April 11. They were told by the ACJM that the court could never be on strike and those wanting to work cannot be forced to shun the same. The lawyers then resorted to sloganeering, use of abusive language, leading to deferment of proceedings. After these advocates were identified, the High Court framed charges against these advocates on April 9, 2015. The charges were denied by the lawyers on various grounds. Some claimed that they were not present at the scene others said they were being framed due to enmity with other lawyers and that the lower court was biased. They also challenged the proceedings on technical grounds. During the course of the proceedings, all the lawyers charged with criminal contempt also tendered an unconditional apology to the ACJM. The Court however, rejected all defence, stating that such acts are not capable of being justified in any manner. Last month, Madhya Pradesh High Court had issued notices to several lawyers including “Dead”, “Retired” and “Elevated to the Bench” for striking work. One such notice was delivered to senior advocate Vivek Tankha, who was the advocate general of Madhya Pradesh and now practices mainly in the Supreme Court, with regards to a ‘vakalatnama’ for a case he had filed nearly two decades ago. The High Court apparently has pulled out old vakalatnamas from case files and mechanically issued notices to advocates who have long ceased to appear for cases after getting designated as senior advocates. You may read the LiveLaw story here.